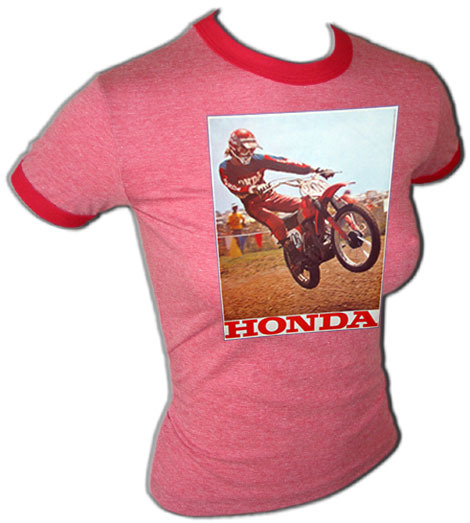 Original and extremely rare 1974 heat transfer iron-on t-shirt of the late great "Gaylon Mosier" on a 1974 Factory RC works Honda. 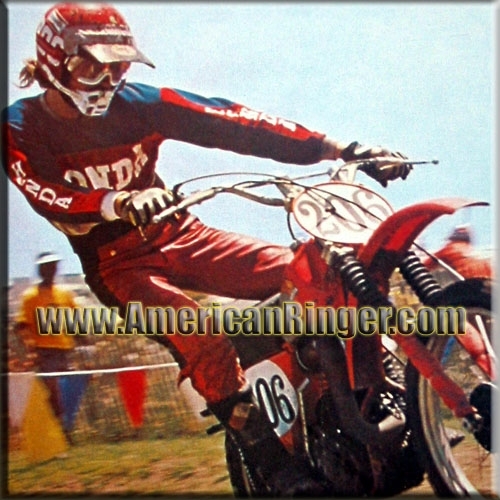 Now we just need to find a vintage Marty Smith print for you and we'll be stoked! A vintage American Ringer EXCLUSIVE, RARE AND HIGHLY COLLECTIBLE! These shirts are extremely difficult vintage items to find and will sell out very quickly so get yours today! AmericanRinger.com acquired these rare vintage shirts and NOBODY ELSE HAS THEM! This is the real deal vintage stuff and once they are gone they will be gone forever.